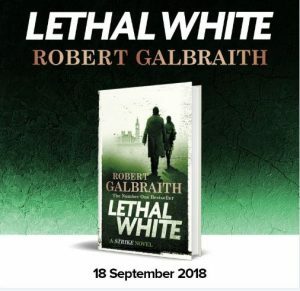 Lethal White: Every Goblet of Fire Link? 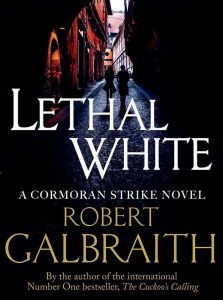 One of the first things I was obliged to write after a hurried reading of Lethal White was whether there were links between Strike4 and Goblet of Fire, the fourth Harry Potter novel. 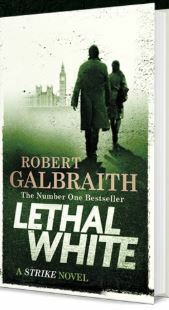 Does Lethal White Echo Goblet of Fire? 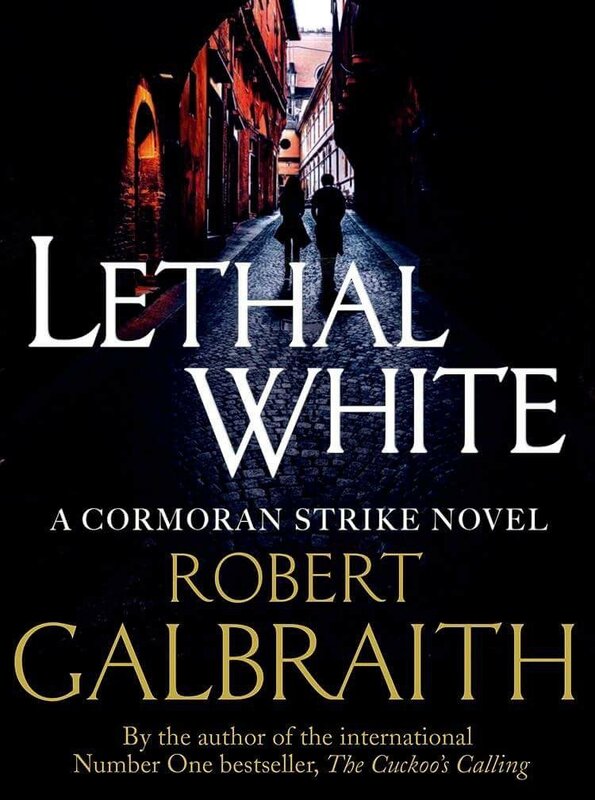 It has been an ongoing topic of conversation here that Rowling-as-Galbraith seems to be a writing a series in parallel with and commentary on the corresponding number in the Hogwarts Saga with each Cormoran Strike mystery. 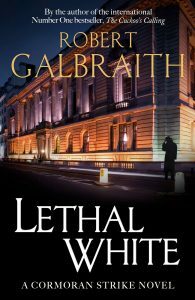 My first report was that Lethal White certainly did in fact parallel Goblet in fascinating ways. I listed seven points that popped up on my first trip through the book; Louise Freeman, who had guessed two years ago that the London Olympics would serve as a Quidditch World Cup/Triwizard Tournament equivalent background in the fourth book, and Evan Willis contributed several more on that post’s comment thread. You can read or review via this link that first Goblet-Lethal post on HogwartsProfessor. I resolved to re-read Goblet of Fire after reading Lethal White several times to see what parallels I’d missed, if any. 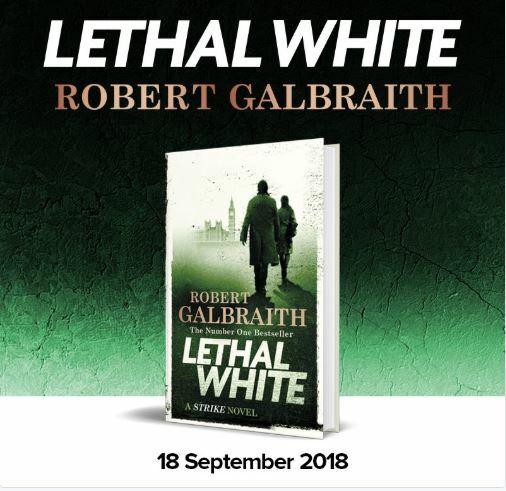 I am putting together the Pillar Post for Lethal White now and have to finish off and put up all the draft posts in queue on that subject before I do. After the jump, then, a list of the thirty-three (33!) echoes and correspondences between Potter4 and Strike4 for your consideration, correction, and co-operation; please add the ones I missed in the comment thread by clicking on ‘Leave a Comment’ above! 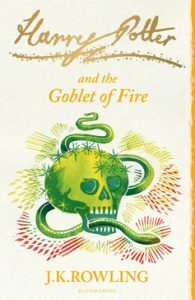 There are stray echoes of Goblet that strike the inner-ear after reading both Goblet and Lethal White one after the other. For example, Cedric conjures up a labrador to distract his dragon in the first task and there is a labrador at the Chiswell estate. Dudley has ballooned to the size of a killer whale and is put on a diet at the beginning of Goblet; Raphael’s mother is tagged with the nickname ‘The Orca’ because she prefers to dress in black and white. I think, more significant echoes are to be found in Harry’s rising anxiety which become panic attacks before each TriWizard task and Robin’s panic attacks throughout Lethal White. Harry’s angst about the Horntail in the second task is described as a “panic attack” and his interior conversation to get through it is something akin to Robin’s CBT training (see also his monologue in the Maze’s Upside Down Dust). His mantra of “Go with your strengths” in his flight reminded me of Robin’s repeating “You’re perfectly safe” to herself to hold off and work through a panic attack. Faux-Moody’s coaching session here would parallel Robin’s final meeting with her counsellor in Lethal White. We have the Personal Assistant parallel in the government offices of Barty Crouch, Sr., and Jasper Chiswell, with Percy and Izzy playing that role respectively (and Robin being offered the job). Really, though, Izzy is much more like Winky. The House-elf protects and “keeps the secrets” of the Crouches which prevents faux Moody being outed and indirectly the death of the father and Cedric Diggory. Izzy, too, keeps the father’s and the son’s family secrets about the gallows and the strangling of Raphael “up by the horse,” which keeps Strike and Robin from the answers before daddy is set-up as a suicide. We get diet humor with both Dudley and Cormoran struggling with their weight. As touched on in the first post, both Barty Crouch, Sr., and Jasper Chiswell suffer a career setback because of the scandalous, even murderous behavior of their only surviving sons. Both, though they disown each child publicly, moves discreetly to get the boy released from a nightmarish prison before the allotted sentence is complete. The great love of each man’s wife for this child is the cause of the father’s murder. 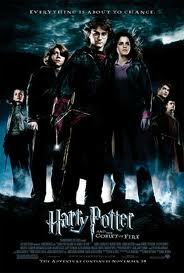 Sirius tells the Terible Trio in his cave retreat above Hogsmeade about the nightmare of Azkaban. Raphael shares with Robin in their private conversation on the barge what he experienced in prison, the ugliness and animal environment to which he vowed he would die before returning. Strike’s meal with Chiswell at Pratt’s, the Roast Beef and Yorkshire pudding, so called “nursery food” for Britons, has a place at the Hogwarts feast table as well in Goblet. 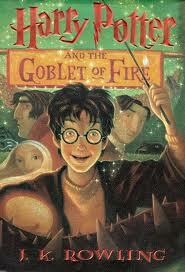 In Goblet, The Daily Prophet publishes Rita Skeeter’s punitive article about a supposed relationship between Hermione Granger and Harry Potter which results in her being buried in owls the next day with Howlers and Boobo-Tuber puss. Raphael threatens as faux Matthew to plant a story about Cormoran Strike and Robin in Lethal White and the newspapers really do carry the gossip about Charlotte Campbell-Ross’ meeting with Cormoran Strike at a restaurant. 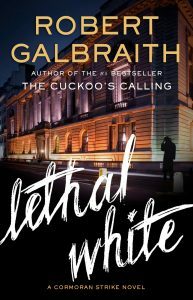 Viktor Krum confronts Harry about his feelings for Hermione consequent to the article and the word at the end of Lethal White is that Jago Ross went ballistic about his wife sitting down with her ex-lover (she does wind up in the hospital…). Harry plays the part of the one-legged hero in the third task after being injured in his match with the giant spider. 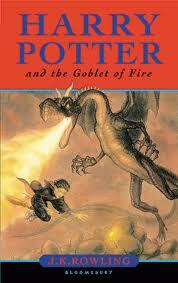 He limps thereafter until Fawkes cures his injury with Phoenix tears a la Chamber. As if that weren’t enough, Harry picks up a serious scar on the arm in the Little Hangleton graveyard via Wormtail’s collection of Black Mass potion ingredients. Strike, of course, is missing a leg and has a scar on the arm from his tussle with John Bristow in Cuckoo’s Calling; Robin walks well but the scar on her arm she has courtesy of the Shackleton Ripper aches at her wedding and is prominent throughout Lethal White. “It was legal at the time.” So says Barty Crouch, Sr., at the Wizarding World Cup camp grounds about flying carpets being legal when his grandfather ownded one. We get the Chiswell family echoing of this line about gallows sales throughtout Lethal White. 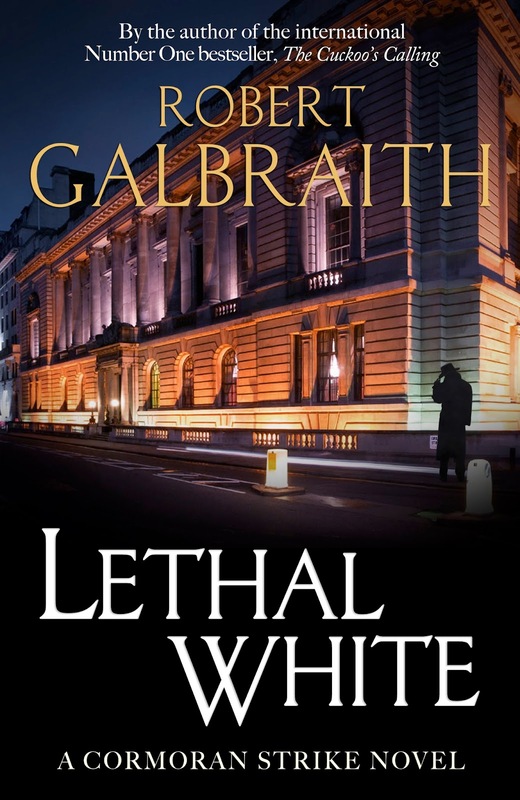 And there’s that blackmail subplot, flat-out in Lethal White with Chiswell being threatened with exposure by both Jimmy Knight and Geraint Winn and it’s there under the radar in Goblet with Ludo Bagman receiving letters from the Weasley twins just on the edge of extortion. Time to pay up! Earrings make their only appearance of note in each series with Bill Weasley sporting his dragon fang piece and Sarah Shadlock’s birthday present winding up in Robin’s marital bed. Rowling invented a spell that didn’t mean what she thought it did in Goblet; ‘Ennervate’ brings both Winky and Crouch, Jr., out of unconsciousness rather abruptly while the world in English means passing out of full consciousness. (Rowling uses a different spell with some assonance in later books.) The word “enervating” appears in Lethal White to describe what Lucy’s badgering of Cormoran to take up “a more conventional existence” does to him. 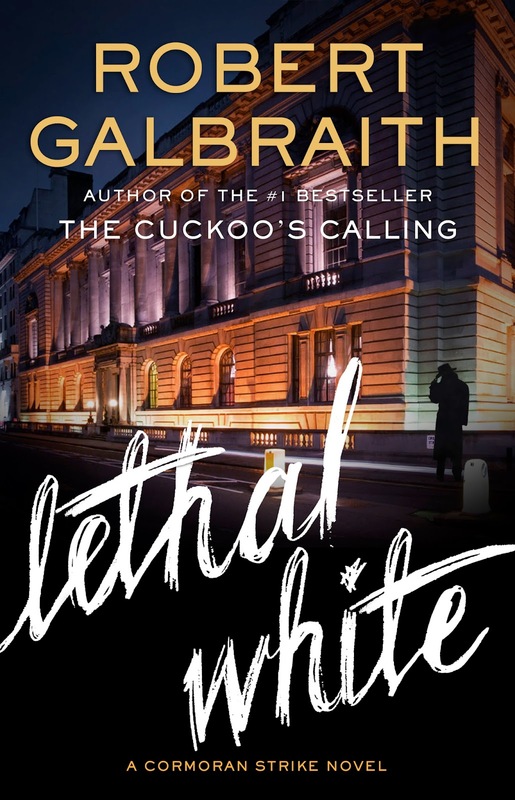 And the estrangement between Robin and Cormoran that is the painful part of Lethal White‘s long opening is an echo of Harry and Ron’s split before the first TriWizard Task. What do Robin and Harry always respond to questions of how they are holding up in each book? “I’m fine.” And it is always a lie as each lives in a state of anxiety close to panic (and often spilling over) in both Goblet and White. A single word! The French word “purdu” is heard in the woods as the Muggles are tortured at the Wizard World Cup and it is Felicity’s last name (‘Flick,’ right?). There are a lot of lies and ethical challenges in the two books. I’ll let you make your own list. The only betting that takes place in each series? The Weasley boys with Bagman (and Bagman with the Goblins) and Strike putting down a wager in Lethal White at the race track. There are people we only see in the first and fourth books (and the seventh) in Harry Potter, namely, Ollivander and Harry’s parents. I guess that means we should expect to see Charlotte and Spanner in Strike 7 (really, though, I have to think Charlotte is going to be playing a big part in each and every one of the books to come…). And how about Lord Voldemort? He is described as looking something like a baby swaddled in Pettigrew’s arms. The baby buried in the Dell on the Chiswell estate is the nightmare anticipated through much of Lethal White and, though that expectation didn’t quite play out, the ‘graveyard’ scene definitely had its Little Hangleton resonances. I was struck that the Dark Lord’s eyes are described in that scene as looking at Harry “like cats.” Strike is unnerved at Nick and Ilsa’s place by the eyes of the kittens that watch him wherever he goes. And the finish? Robin and Harry have Traumatic Stress in spades: the Boy Who Lived in escaping the Dark Lord and Death Eaters, Robin in surviving Raphael’s capturing her, holding her at gun point — muzzel to forehead — and interrogating her. 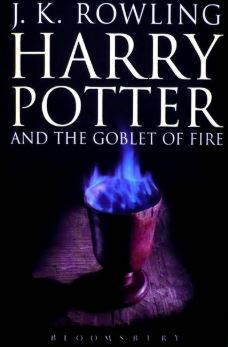 Their reward for their eluding near certain death at the hands of their dedicated psychopaths is that both have to sit right down and report their nightmare experiences rather than rest: Robin Ellacott to New Scotland Yard and Harry Potter to Sirius and Dumbledore. The government gets involved in both books to suppress the reporting of information in obedience to the preferences of government ministers trying to protect their offices. Minister of Magic Cornelius Fudge forces The Daily Prophet to keep quiet about Diggory’s death and the return of Lord Voldemort and Minister of Sport Della Winn’s super-injunction about the background of Jasper Chiswell’s death stops news coverage of the late Minister of Culture’s being blackmailed by her husband. Dumbledore claims his Pensieve is a great help in seeing “patterns and links;” Strike doesn’t have a magical bird bath so he spends much of Lethal White making lists of names in various combinations to stir his unconscious mind to see parallels and connections. “That old cow” is a favorite expression about women in each book. Fred and George Weasley think it an apt description for Rita Skeeter in conversation on the Hogwarts Express, Harry Potter uses it in Hagrid’s Hut to snap the Half-giant out of his funk after being outed by the reporter, and Raphael tags his lover and step-mother Kinvarra with the label in his tete a tete with Robin on the barge. Fawkes the Phoenix is described as being “the size of a swan” in Dumbledore’s office. Swans are the brackets and tokens of Lethal White. “Not after dark”? That’s right. Sirius is all over Harry to stay safe during the TriWizard Tournament and Strike is also the helicopter parent with Robin after her near-miss with the Ripper. And I thought in the legendary scene on the Roadside Verge in which Strike finally learns that Robin and Matt have broken up and he celebrates inwardly, “Doesn’t Harry have a moment in Goblet when he is happy that Cho and Cedric are not a sure thing?” I couldn’t find the reference, though. Did I mention the Green Dress Hermione wears to the Yule Ball? Well, actually it was periwinkle blue on the page and pink on screen. It was Harry, who like Robin, wears the Green Dress Robes. A sign that Cormoran’s job as the lead detective in the series may be in danger? And, really, I thought of Crimes of Grindelwald a couple of times on my prolonged revisit to Goblet of Fire. Travers, for one thing, is identified by Karkaroff in front of the Wizengamut as a Death Eater. My, oh my. Then, when Barty, Jr., relays the story of his escape from Azkaban via his dying mother’s sacrificial death and Polyjuice Potion, it was a short leap to Grindelwald’s escape from the MACUSA Trans-Atlantic Thestral wagon via Abernathy’s use of the Polyjuice Potion. Back to Lethal-Goblet… Just one more. Robin Ellacott-Cunliffe is suffering from PTSD. Louise Freeman has established that Alastair Moody shows all the symptoms of this condition as well. 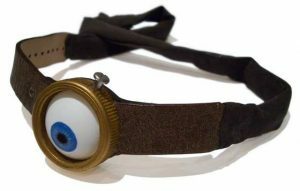 Moody’s nickname is “Mad-Eye” because of the magical prosthetic eye-piece he wears; Robin in Lethal White wears colored lenses in her eyes to become Venetia Hall (something like Clark Kent’s glasses disguising his Superman identity from the clueless public…). That’s an especially fun link because the Moody with the false eye in Goblet is impersonating someone else. How about the “unforgiveable lie” Robin curses and the class on “Unforgiveable Curses” Moody gives? No, let’s stop at thirty three.